1.Design the landing page, add all the fields required, you can add as many as you want of any type. Check Illustration 1 for more details. URL where you are going to be expecting notifications with the information filled by your clients using Forms/Surveys from Go4Clients. Go4Clients will call this URL via API using an HTTP – POST request with a key – value representation of the form/survey your client just submitted and the precise information about your campaign and the person who performed the action. URL where you are going to be expecting notifications with the information about the actions your client makes inside each of your landing pages. 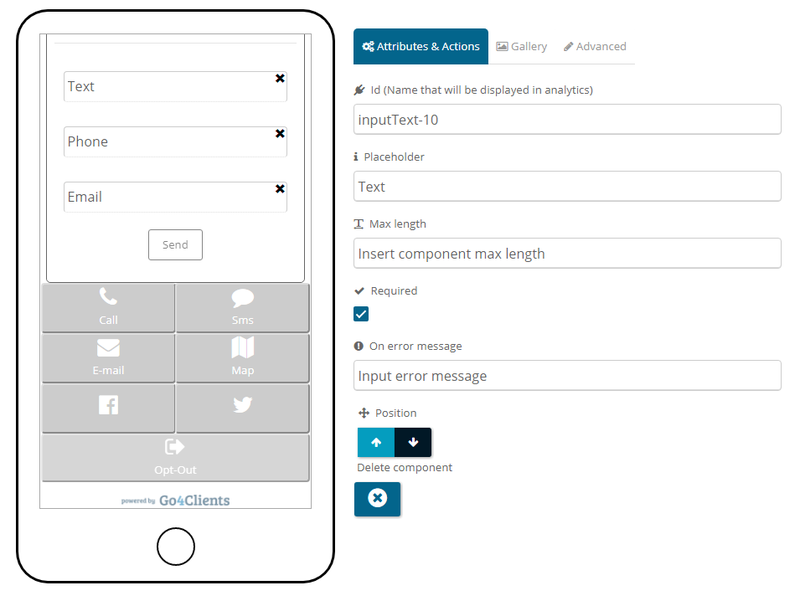 Get notifications when your clients open a landing page or any call to action performed inside the landing page. Go4Clients will call this URL via API using an HTTP – POST request with the precise information about your campaign, the action performed and the person who made the action. It is the ID of Landing Page used. Name of the campaign where was used the Landing Page. Unique code assigns to a unique receiver. Means the browser used by the receiver to open the Landing. 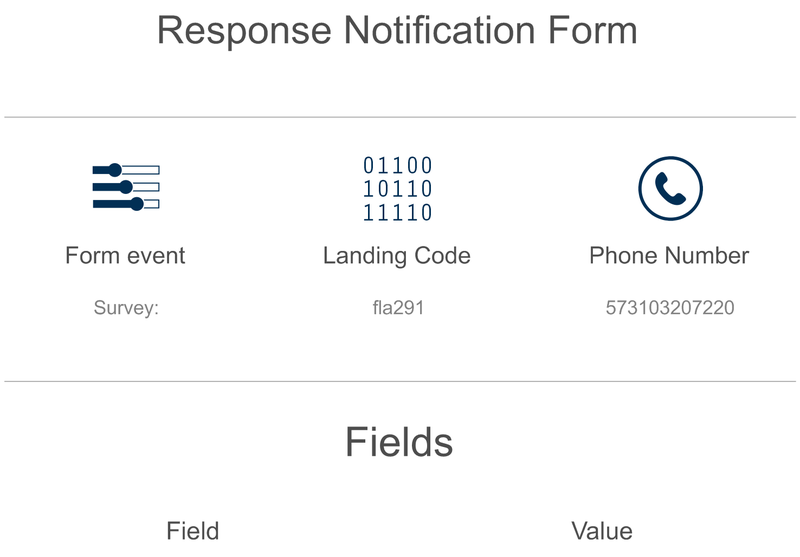 It contains the platform response of some events, for example, the SURVEY/FORM or LOCATION events. The subfields depend on the event type, see the charts below. Means the date when the campaign was sent.. Indicates the Landing Page event type. It can take the following values: OPEN, FORM, SURVEY, BUTTON, IMAGE, SOCIAL. Means the component id or the form name. City of the customer location. Country of the customer location. Latitude of the customer location. Longitude of the customer location. Region of the customer location. Key name which corresponds to one of the upper fields. Key value which corresponds to one of the upper fields. Id which means the item survey name. It’s is assigned when you . create the Landing Page. Placeholder name which corresponds to a specific field. Key value which corresponds to a specific field. Done! With these simple steps you will be able to have your customers information in real time, whenever your he/she opens a landing page, performs a click to action or fills a survey/form.